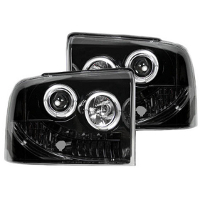 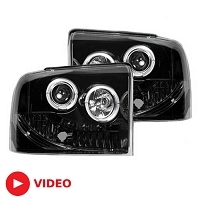 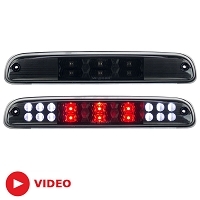 Your 2004 to 2007 Super Duty looks good, but a set of aftermarket headlights, taillights, third brake lights will make it into one of the most unique things on the road. 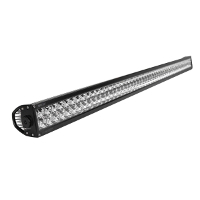 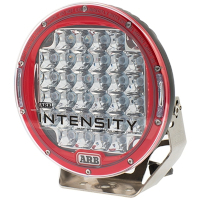 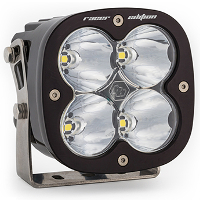 For off-road lighting solutions, check out our wide selection of off-road LED light bars from Rigid Industries and other off-road lights from Baja Designs to brighten the trails, dunes, and work sites after the sun sinks down. 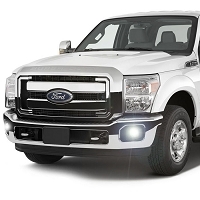 Stage 3 has all of your on-road and off-road lighting needs taken care of.Get even more aggressive looks with a new superduty hood. 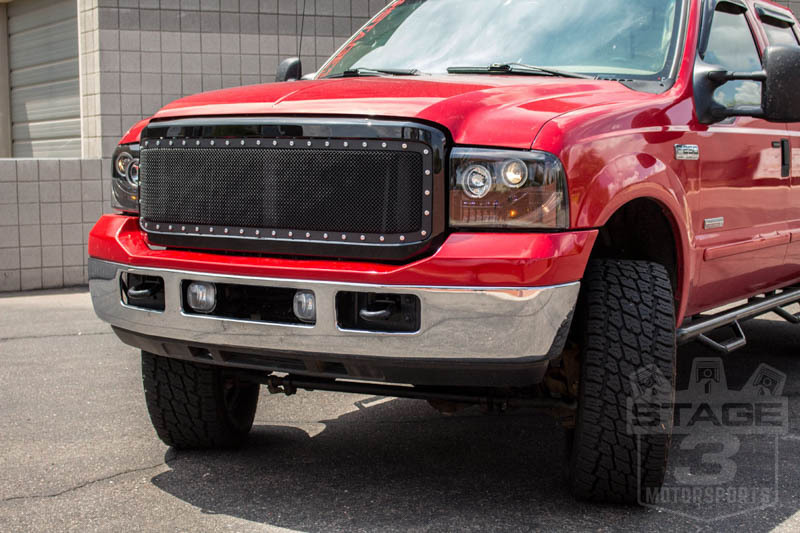 Some of the most popular lighting upgrades for the 2004-2007 Super Duty include halo lights and LED strips for an aggressive, custom look. 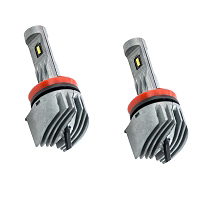 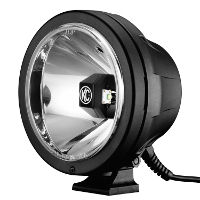 You'll see that we have both CCFL and LED lights and sometimes a combination of the two in one product. 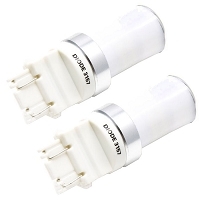 The main difference between the two types of lights is that LED lights are a brighter, nearly white glow, while CCFL lights are slightly dimmer but illuminate more consistently compared to LED bulbs, meaning you don't actually see each bulb and the dimness between them like in LED lighting. 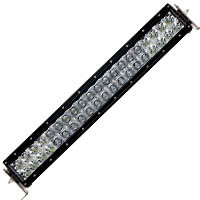 Both CCFL and LED have long lifespans, so you won't have to worry about replacing them for quite a while. 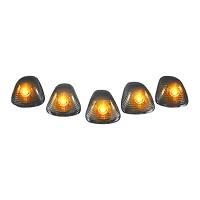 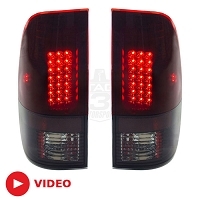 Once you're through with headlights, don't forget to complete the look with new taillights and an aftermarket third brake light. 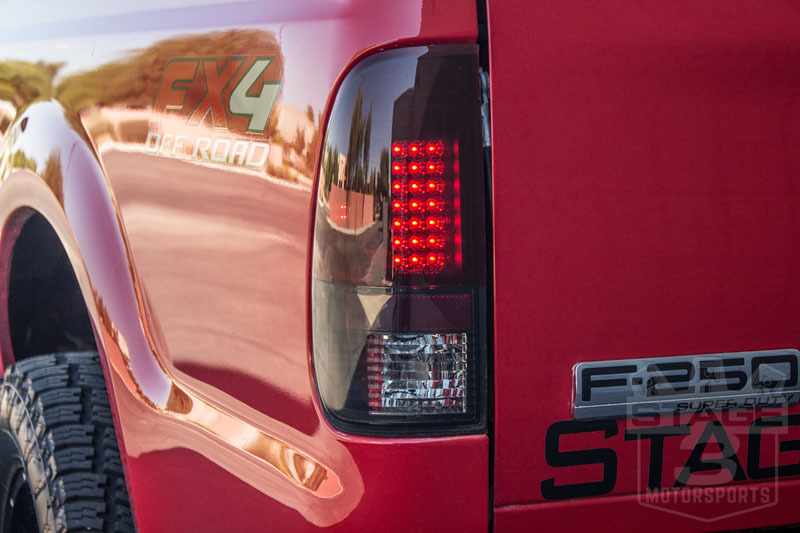 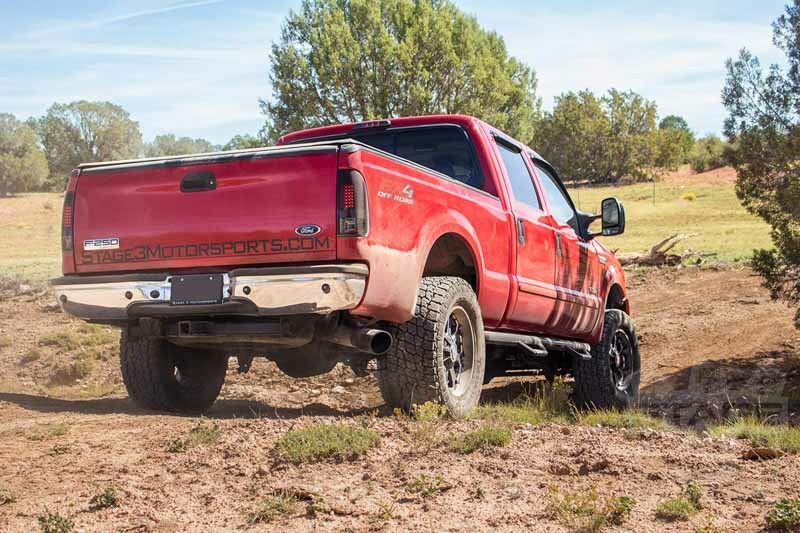 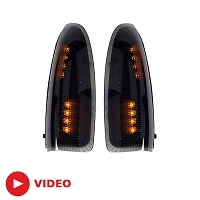 A quick swap with a pair of our great-looking bolt-on replacement lights is a quick, affordable and easy way to make everyone driving behind you envious of your modified Super Duty.